In 2003 Jurijs Hadarovičs graduated the Riga Technical University with degree specialising in Marketing and Sales. Starting from 2005 Jurijs worked at the international textile manufacturing company Lauma Fabrics as their sales manager for the European market at the Marketing department. In 2009 in cooperation with leading Latvian textile companies Jurijs Hadarovičs created the Association of Latvian lingerie manufacturers (LATVERA), which is still managed by him today. 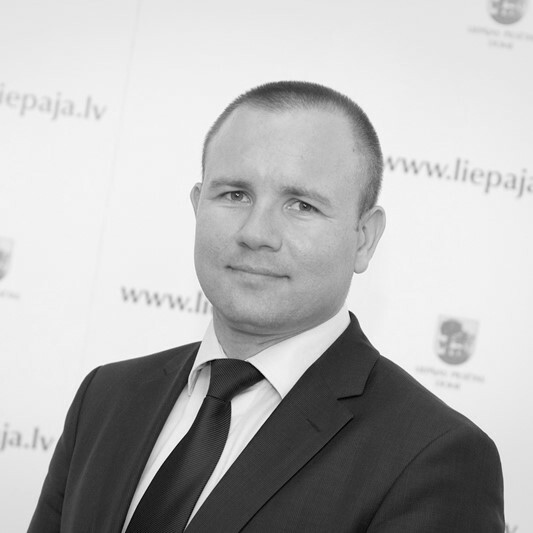 In the meantime from 2013 until 2017 Jurijs was also elected in the Liepaja City Council where he served as a vice-mayor of Liepaja. Having worked in the lingerie sector of Latvia for the last 13 years Jurijs has acquired an in-depth understanding of the industry’s developments, past and future trends. Since 2009 LATVERA has participated in the organisation of several events and trade promotion activities e.g. : the Latvian lingerie stands in the fairs in Paris, Moscow, Birmingham, Kiev, Almaty; the fashion shows in Moscow, Riga, Liepaja; Lingerie Forums in Latvia. Finally, Jurijs Hadarovičs has worked on a number of projects attracting the EU funding to Latvia’s textile industry and continuously tries to popularize the Latvian lingerie products around the world.